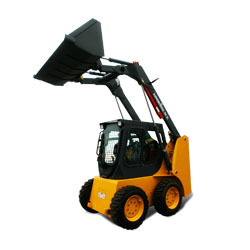 Lonking - Chinese Skid Steer Loaders, Skid Steer Loader_Skid Steer Loader_Construction Machinery_Products _Lonking Machinery Co., Ltd.
Advanced engine, high horsepower and torque deliver outstanding performance. Spacious, comfortable ROPS/FOPS cab and ergonomic, low effort mechanical servo comtrols or joystick controls reduce operator fatigue. Hydraulic system provides maximum power and reliability for demanding applications. 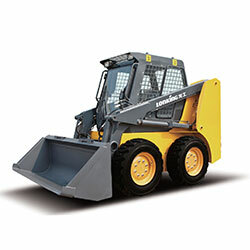 Work tools can be changed quickly and easily with the machine's quick coupler system.Lonking's broad range of performance matched work tools make the Lonking Skid Steer Loader the most versatile machine on the job site.